We’re happy to have Rita back with us. In the past she has stopped by with her Monster Hat tutorial and Baby Tie tutorial. Now she’s here to share her favorite Oliver + S pattern. Thanks so much for being here Rita! I am so excited to be sharing my favorite Oliver + S pattern with you today! I own many Oliver + S patterns, the Building Block Dress book, and Little Things to Sew; I have enjoyed every pattern that I’ve made so far. Lately I’ve been looking forward to exploring the girl patterns as I’ve had a little girl to go with my three rambunctious boys! 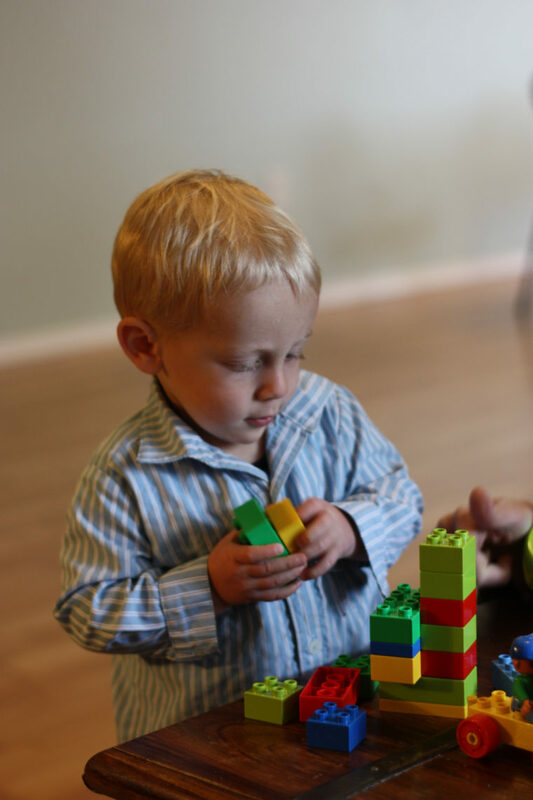 I really began my sewing journey with Oliver + S. After having my first little boy, I was casting around for a hobby to fill my days and my sister introduced me to sewing and Oliver + S patterns. She knew Oliver + S would guide me through the beginning stages of sewing. I was immediately hooked as the patterns kept the sewing process from becoming daunting for a new sewist by breaking down steps into manageable bits. The detailed instructions allowed me to learn and build a skill set while creating successful projects right from the start. 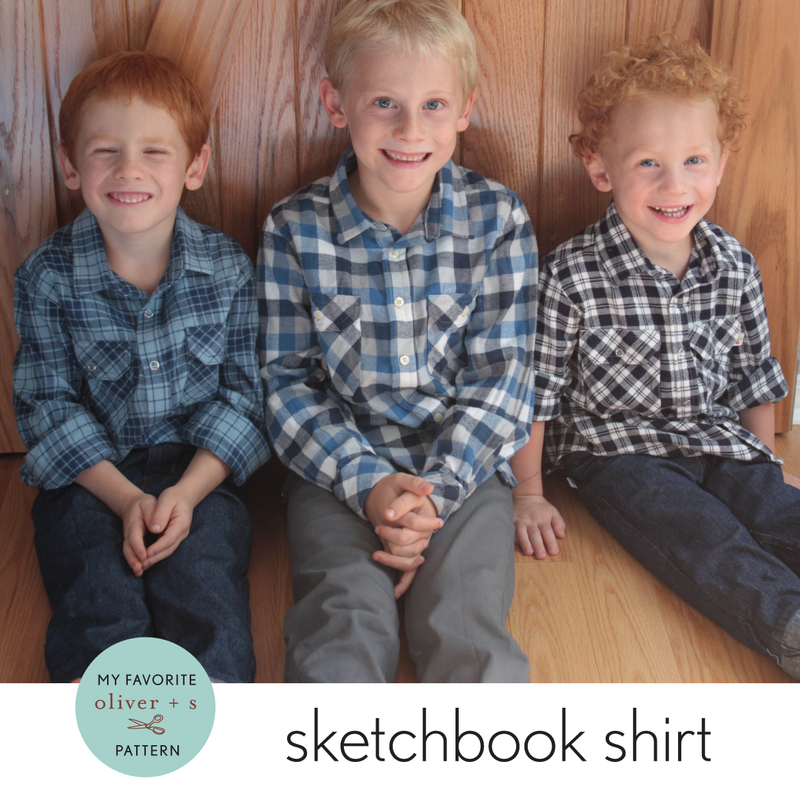 The Sketchbook Shirt was one of the patterns that I fell in love with first; I have made it countless times for my three boys over the years (over 30 times!). Even the first one I made went well, the instructions guided me carefully through every step. I was amazed that I was able to sew a collar and cuffs. 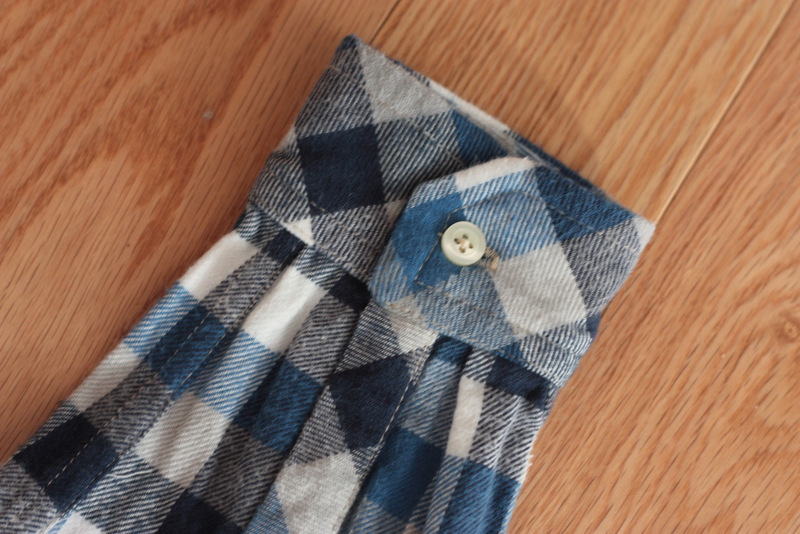 It felt like such an accomplishment to complete a real button-up shirt for the first time! The Sketchbook Shirt has been the perfect button-up for casual daily wear and also for more formal occasions. 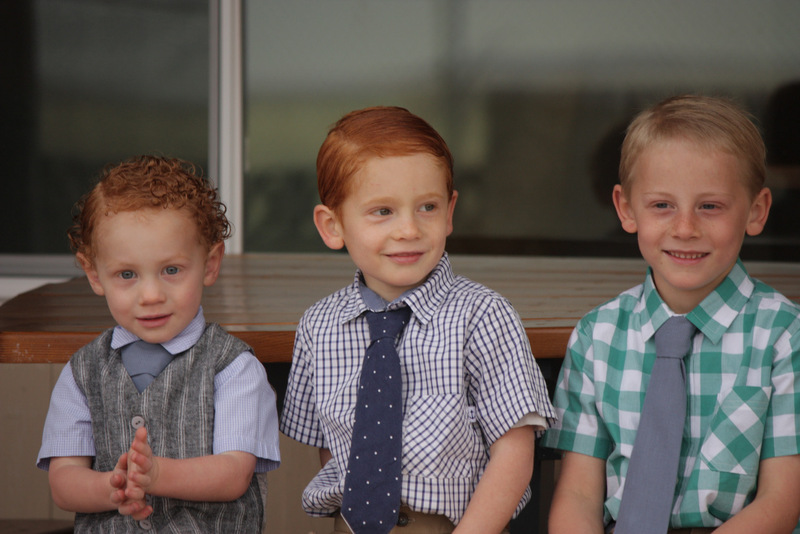 Easter just wouldn’t be the same without each of my boys in a fresh Sketchbook shirt. I found early on that the Sketchbook Shirt pairs wonderfully with the Art Museum Vest. A few years ago, I wanted to challenge myself and went to work modifying the Sketchbook Shirt. 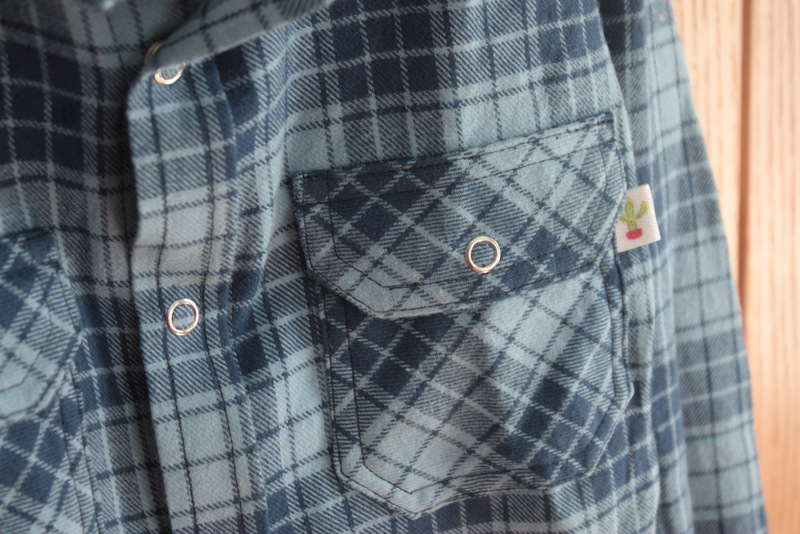 I converted the all-in-one collar to a collar with a separate stand, changed the pocket shape, added sleeve plackets, and converted the front placket to a cut-on placket. Each new Sketchbook Shirt became a chance to try something new. Now my boys live in their flannel Sketchbook Shirts during the cooler winter months. Lately, I’ve even been using my Sketchbook pattern to create jackets. 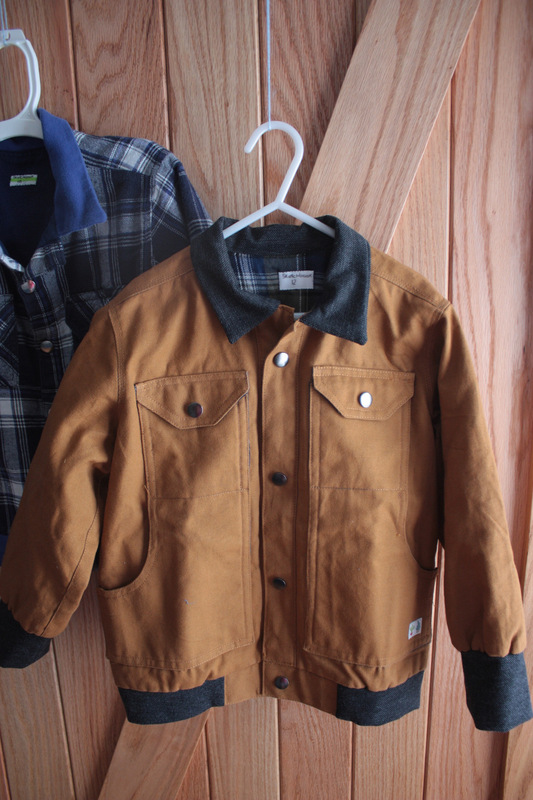 I was searching for a jacket pattern for my oldest boy a few years ago and I couldn’t find a pattern that fit what I had in mind. I finally settled on using my Sketchbook pattern as a building block. It was easier than I thought. With a little imagination and a few simple modifications, I was able to create just what I wanted! I know there will be many more Sketchbook Shirts and Sketchbook modifications in my future! These shirts all look so professional and just my style, but that jacket is outstanding! 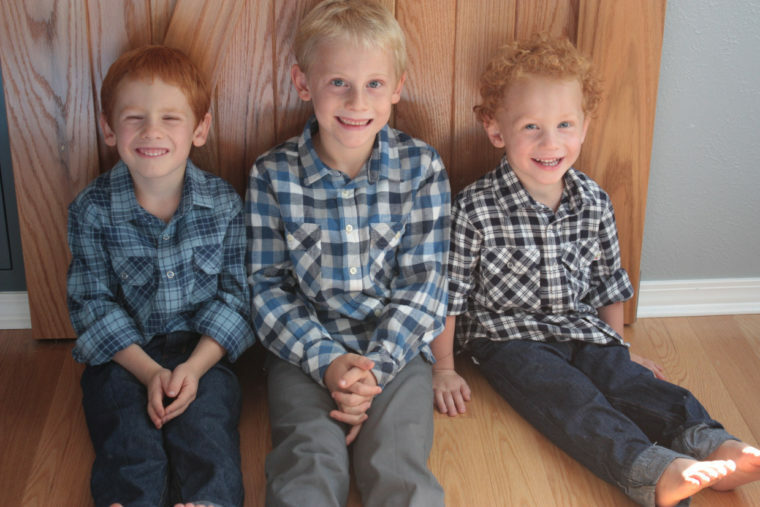 These are such beautiful, well-done shirts on your cute boys! 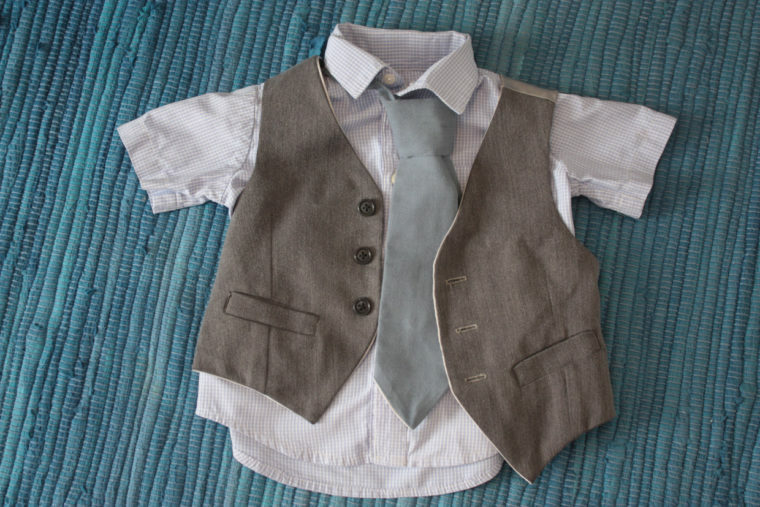 I sew for boys too and these are all great inspiration. That jacket is stunning! Oh my, that jacket!!! I love it. Genius pattern manipulation. Wow! What lucky, well dressed boys to have such a talented mother! That jacket is amazing. You have become s fantastic sewest. Sewing for boys is so much fun. Mine al all grown and gone now but sewing for them was one of the best parts about being their mom. Good memories!!! Wowza!!! That a girl! These clothes look awesome! Cute kids too. Wow the shirts are great…you have really gotten that pattern down…The jacket is amazing I never would have thought of that. Would love to know the modifications you made. I am in awe that you managed to get that much sewing done with busy boys about. All of the shirts are adorable and the modifications are really well done. But that said, the jacket is incredible! So clever and well done!